It's here! This trailer will make you tear up, then also remind you how important and wonderful goodness and happiness are. Focus Features has revealed an official trailer for the documentary Won't You Be My Neighbor?, made by Oscar-winning doc filmmaker Morgan Neville. 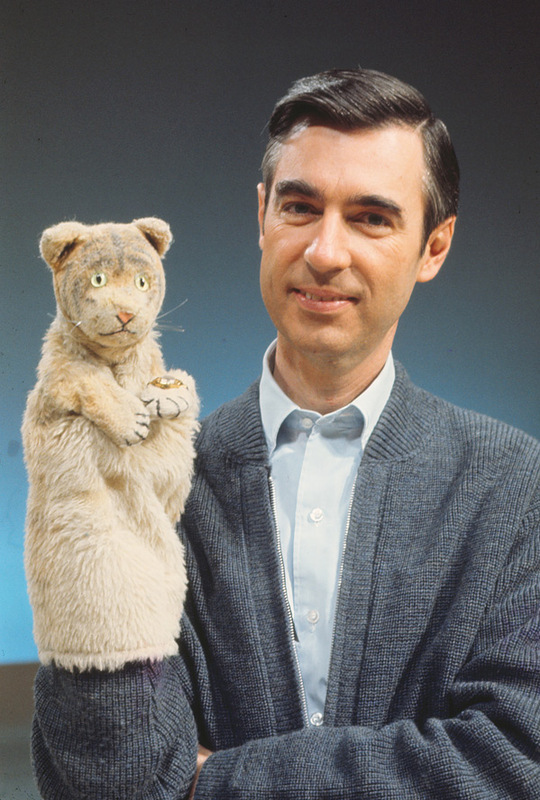 This is more than just a profile of the late Fred Rogers, known best as Mr. Rogers - it's a wonderful look at how a man tried to make the world better by figuring out how to speak to kids and teach them the importance of compassion and understanding and helpfulness. This premiered to glowing reviews at the Sundance Film Festival this year. I wrote about it: "This is the documentary we all need right now. It's a heartwarming, rousing film about how goodness makes an impact in society. It shows us that we can make a difference if we help someone else, if we support them, and believe in them, and remind them that they are perfect just they way they are." You have to see it.